Analysis: The attack on the T-4 base in Syria, which was attributed to Israel, raises the tensions between Jerusalem and Moscow and sends a message that Israel will not allow Iranian military presence in Syria, even at the cost of friction with Russia. If Israel was indeed behind the missile strike on the T-4 military base in Syria, it’s safe to assume the attack was carried out to prevent the Iranians from further establishing their military presence in Syria and from improving the Revolutionary Guards and Shiite militias’ ability to act against Israel. The T-4 base is located hundreds of kilometers away from the Israeli border, between the city of Homs and Palmyra. In addition to Syria’s air and ground forces, the base is also being used by the Iranian Revolutionary Guards. A small Russian aerial force is also stationed at the base. The T-4 base’s location plays a crucial role in the fighting in the Middle East, as it is situated in the middle of the Syrian section of the ground and aerial corridor from Teheran, through Lebanon and Syria’s Mediterranean ports. It is actually the base’s remote location that gives Iran a sense of security—more than Damascus’s International Airport, which is located only some 40 kilometers from Israel—and it is there that the technological components of the Revolutionary Guards Iran’s militias are based. And so, if Israel did indeed attack the T-4 base—as Russia and Syria claim—it was to prevent any change in the strategic balance in the war between wars. That means this action was made to avoid the “erosion” of Israel’s intelligence and operational superiority in fighting zones close to its borders, erosion that would make it difficult for the IDF to deal with different threats in wartime. The second reason to this attack is to prove to Syria, and especially to Iran and Russia, that Israel is determined to prevent Iranian military entrenchment in Syria in a way that endangers its national security using every possible measure at its disposal. However, two months ago, Iranian officials declared that any attack on Iranian forces in Syria will be met with a “strong Iranian response.” In the overnight strike on the T-4 base, according to opposition sources who are not always reliable, 14 were killed—some of them Iranians. Therefore, it’s possible we’ll soon see—maybe even in the coming days—an Iranian retaliatory action. It’s important to keep in mind that the Iranians normally retaliate not only where they were attacked, but also via their terror infrastructures overseas. Particularly interesting is the fact the Kremlin and the Assad regime were quick to put out statements saying neither the Americans nor the French were responsible for the strike, but rather Israel. This despite the fact the missiles came from the Mediterranean Sea, went over Lebanon and hit the T-4 base, exactly as the Americans did a year ago after the Assad regime used sarin gas against the rebels in Idlib, which killed about 100 people. Then, Trump decided to respond with cruise missiles against the T-4 base, where the planes that attacked in Idlib came from. The reason for Russia rushing to place the blame on Israel was that had this been an attack by American or French forces, it would have embarrassed Moscow and required a harsh response, maybe military in nature. 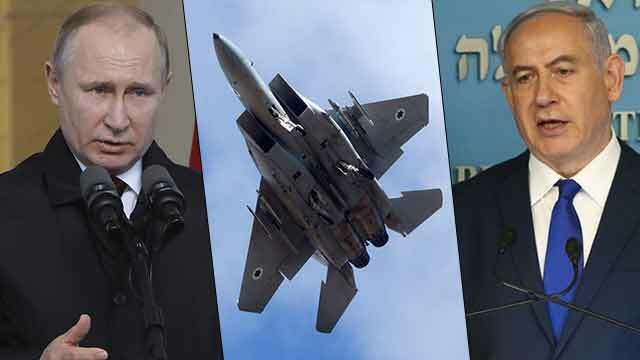 But when it comes to Israeli strikes in Syria, Russia is willing to turn a blind eye, especially since Israel didn’t join the chorus of Western nations blaming the Kremlin for the attempted poisoning of a former Russian spy and his daughter in Britain. Moreover, if the strike was an Israeli one, it wasn’t in retaliation to Assad’s use of chemical weapons against his citizens; even though the world’s lax response to the use of unconventional weapons worries Israel, because it lowers the bar for retaliation to such attacks, which in turn constitutes an immediate and tangible danger for Israel. The Russians have already made it clear that an Israeli strike on a base where Russian forces are also stationed endangers Russian soldiers—and is therefore out of the question. After the last attack on T-4, which was also attributed to Israel, the Russians issued a harsh condemnation and even summoned Israel’s ambassador to Moscow for to reprimand him. 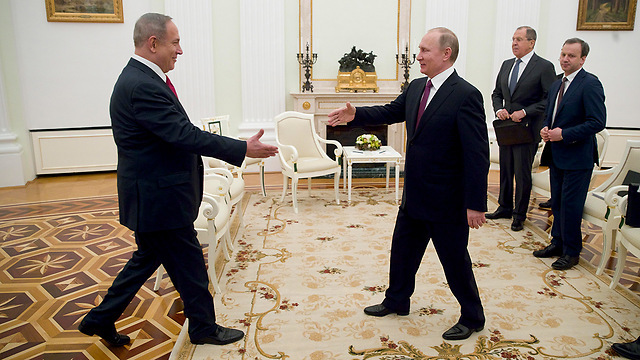 For the Russians, this sort of action was not in line with the “quiet understandings” reached between Putin and Netanyahu. Therefore, every time there is an attack on the T-4 base—and there have already been three such attacks—the Russian Foreign Ministry issues a strong condemnation, exactly as Russian Foreign Minister Sergey Lavrov did on Monday morning. Israel, however, doesn’t see the T-4 base as off limits, and according to foreign reports it continues attacking it despite the proximity to the Russians. In fact, this is a friction point between Russia and Israel, but the latter isn’t deterred by this fact. 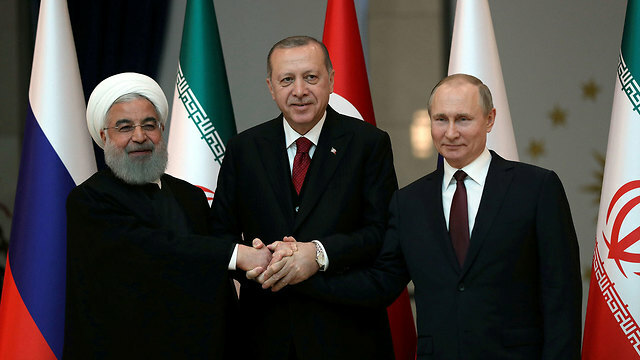 In fact, it appears that in this manner the Israeli government is signaling its discontent with the understandings reached last week between Putin, Turkish President Erdogan and Iranian President Rouhani on Syria’s future. In a summit in Turkey, the Russians agreed to the continued Iranian military presence in Syria. Furthermore, US President Trump’s decision to remove American forces from Syria, leaving Syria to Russia, the Assad regime, Iran and Turkey, contributed to Israel’s actions. Israel wants to make it clear that it would not be deterred by a potential military conflict with Iran—as well as with Russia—if the Iranians continue sending advanced weapons and Shiite militias to Syria that they would later use against Israel. This fact, combined with Iran’s threats of retaliation, considerably increase instability on the northern border in the coming summer.